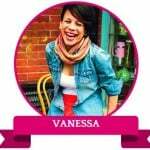 Hi, I am Vanessa Feliciano, and most folks call me Vana. I’m a Time Tailor. I teach overworked, overwhelmed and under rested women how to use reflection as a time management tool. I teach them that’s it possible to find freedom inside and beyond their to do list. That I can trust myself and my feelings a lot more than I was willing to admit. Joining a master mind group. I dream and scheme with 3 amazing women who have changed me for the better. Teaching my step-son how to make French Toast. Celebrating 4 years with my love. Be willing to find the lesson & the blessing inside everything. Allow yourself the space to figure out how you really want to spend your days & take one small action everyday to bring it to life. And if you mess-up, and yes you will mess up, take a step back and a breath in. A new moment is just around the corner. In 2015, I am the Queen of Going with the Flow.